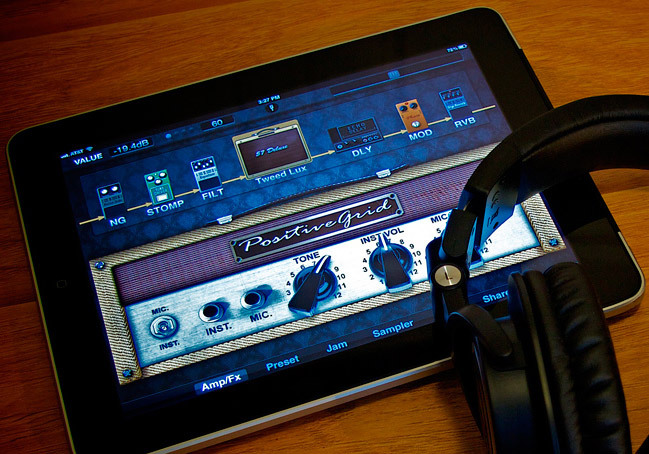 This March, guitar and bass players could win apps and gear for their iOS mobile devices, including the Positive Grid JamUp and Bias Amps effect and amp apps, the PreSonus iOne USB audio interface and Ceres Bluetooth monitors or the Griffin Studio Connect, GuitarConnect Pro and Guitar Sidekick. 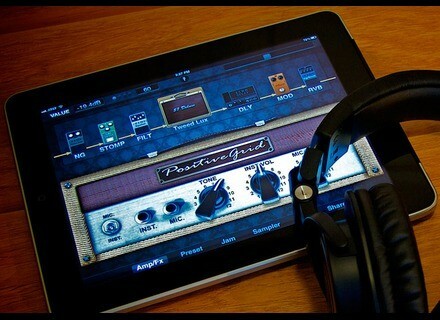 To participate in the contest, post on www.positivegrid.com your envision of the next generation of mobile guitar effect processors. The best three ideas will be rewarded, winners will be announced on March 31st. Plus, Positive Grid offers a 75 % discount off its iOS apps, 50% off the JamUp expansion packs and 25 % off the Bias Desktop and Bias Pro plug-ins for Mac and PC. This special sale also lasts until March 31st. Waves launches a multitrack recorder Waves announces the release of Tracks Live, an audio digital recording and playback software that was designed for live use. Friday’s Freeware: Pano No panorama plug-in this week, but the first project of French developer Noise Makers, with an unlimited demo version. Novation updates the Launchpad app Novation has released version 1.11 of its free Launchpad app for iPhone, iPod Touch and iPad.